I tried CatCrap because I liked the name. It is the best lens cleaner/ anti fogger I have ever tried! 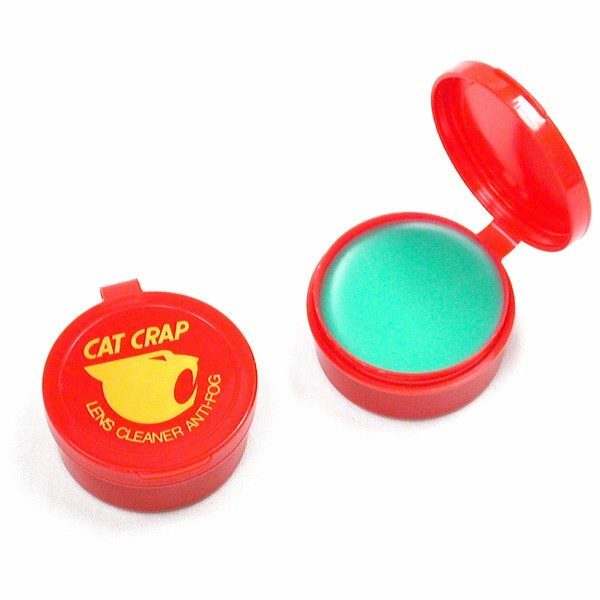 Just got my tub of cat crap from the states over to the UK. Well after reading all the reviews I just had to get some. Best product ever for cleaning eyeglasses. After applying this product and following instructions for cleaning eyeglasses with it, your glasses stay clean for quite a while. It does not harm glass surface at all. You will be surprised after using this to see how much you have missed in your every day eyeglass sight. This is one superior product! I highly recommend it to anyone.